Looking for ceiling fans Colorado Springs? On January 15, 2018 / Blog, Colorado Springs, Lighting / Comments Off on Looking for ceiling fans Colorado Springs? Ready to update that old ceiling fan to something more suitable to your tastes? 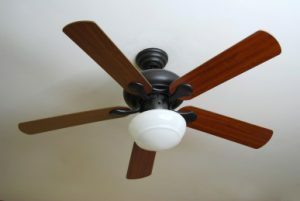 I’m sure we have all encountered our fair share of ceiling fans that aren’t aesthetically pleasing or simply don’t perform to the standard that they should. Instead of having a faulty ceiling fan continue to hang in a room why not replace it instead? What is great about technology these days is that it has allowed for the creation of numerous types of ceiling fans Colorado Springs. Prices have come down to the point as well where you can easily purchase a fan and have it installed by a professional. What Kinds of Ceiling Fans Colorado Springs are there? One of the most popular types of ceiling fans on the market today are remote controlled ceiling fans. If we can use Bluetooth technology to connect a phone to a car’s speaker we should at least be able to control our ceiling fans remotely these days… Right? Multiple fan speeds and lighting can be controlled with one simple touch of a button. These types of fans are ideally suited to homes or residences that have high ceilings. Otherwise, you would find it difficult to adjust settings manually. They’re also best for those who simply prefer having another modern convenience around. For those looking to use up less energy in their homes, energy star ceiling fans are great options to consider. With more aerodynamic blades and energy-efficient motors than regular ceiling fans, one can expect at least 20 percent more efficiency overall. When it comes to lighting, one can expect up to 50 percent efficiency. At the end of the day this means more money in your wallet, even though the upfront cost of energy star ceiling fans may be a bit higher than other types. A growing trend these days on backyard porches is outdoor ceiling fans. They can provide a nice, gentle breeze on hot summer days. They also add a great design element to the back of any residence as well. Concerned about durability? Outdoor ceiling fans have advanced technologically to the point where one can easily find ones that can not only hold up to any sort of weather but last for years and years as well. Last but certainly not least, wall mounted fans provide a great way to save space and additional comfort to any room. If you can mount a television to a wall why not do the same with an efficient fan? Most have head tilts which allow you to position the fan in any manner of your choosing. They could even act as a cooling system for the room when the temperature rises outdoors. They are one of the most cost-effective types of fans on the market today, and provide a level of comfort that far exceeds the price. However, it is also important to consider ceiling fan installation and what it entails. So what’s it like to have a fan installed? What is Ceiling Fan Installation Like? You could go to a local hardware store and purchase a “pre-installed” ceiling fan. Packages like these come with promises that you’ll have it up and running within an hour. More likely than not, it will take much longer than one hour to complete. There’s also a great risk of danger if you aren’t familiar with electrical wiring. …just to name a few of the steps. One not only has to have a knack for construction but for electrical wiring as well when it comes to installing ceiling fans. It is simply not worth spending hours trying to figure out such a complicated process when one could simply hire a professional instead. In the Colorado Springs area, there is only one professional company that stands apart from the rest when it comes to installing ceiling fans Colorado Springs. And that’s us: WireWorks! WireWorks is an electrical company with 20 years of experience in the Colorado Springs area. The company does not rest on its experience gained in the field, however. All our employees strive to learn more and keep up to date with all of the changes going on within the electrical industry. Regardless of the ceiling fan, you can expect that WireWorks has the experience to get it done right and quickly. WireWorks is BBB rated, fully licensed and insured with a great reputation in the community. One could spend up to an hour on the phone trying to get into contact with someone in regards to electrical services at a large company. What is great about WireWorks is that we are small enough to answer any questions you may have or set up an appointment in little to no time at all, but big enough to be recognized by the Better Business Bureau. The perfect mix! We pride ourselves on our above and beyond service. Not only can we install practically any type of ceiling fan quickly and efficiently, but we also spend the time to show you how everything operates so that you can be ready to use it in no time at all. What is frustrating about most ceiling fan installations is that they may provide detailed instructions regarding how to install it, but scant information as far as how to operate it. Remote ceiling fans in particular can be tricky to master, and that is why our service will help you in this area as well. So why waste time trying to install a fan yourself? Trust us to do the job right, first time. One of our friendly staff members will be happy to answer any question you might have. So give us a call today for your ceiling fans Colorado Springs needs! As anyone who has had even a brief interaction with home security will know, smart security can be quite complex. While some people find it easy to deal with, others find it quite a challenging and frustrating process. If you are looking to find out more about home security and pick the right home security system, then our Colorado Springs Electrical Contractors would love to help you do just that. Many people ask us if smart home security is the next step in theft prevention and general security. Let’s take a look at whether or not this particular statement rings true. While many people will be happy to stick with a classic and old-school burglar alarm, smart home security changes the parameters. Aside from just offering you an alarm if someone breaks in, it also offers everything you need to stay in control. Monitor, manage and control your property without any issues whatsoever; even if you are out of the house, this gives you regular alerts and notifications. This means that if you are on holiday or even just in work, you can be informed about a potential breach. Then, you can act upon that and make sure there is a clear decision to be made about what to do with the potential threat. However, even with that appeal and the more modern alert system, is smart home security at the level yet where you can justifiably invest in it? Let’s take a closer look. 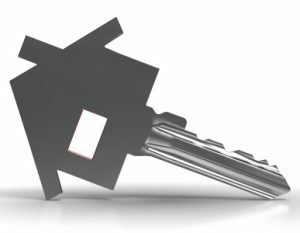 Colorado Springs Electrical Contractors: What Is Smart Home Security? Have a running and active security camera system you can watch on a smart device. Set off sirens and security systems to automatically alert the authorities when needed. Use motion detectors to find out if your intruder is a burglar or a bird! Set clear lock mechanisms on the doors that can only be accessed with the right codes. These features all naturally play a major role in modern security. With theft and burglary more sophisticated than ever, it’s vital we’re very clear about the potential problems that await us. As crime gets more intelligent, though, so do features that help keep criminals out. Since these are driven by an internet connection, they tend to deliver a very easy to use and access security platform. Most home security systems also come with an app, too. The app can give you access to controlling and handling security. It also offers a viable solution for referring to old footage ad even using the footage as proof in a case, should any issues need to go to court for resolution. Normally, a reliable home smart security system delivers various other features on top of what we mentioned above. For example, you will regularly find night vision-enabled, two-way speaker security platforms. This is great for parents with newborn children, in particular. You can also get access to temperature and moisture sensors. This is useful for making sure you can spot major problems before they escalate. From a leak to a flood incoming through to a fire, this feature will help you to know exactly what is coming before it gets out of hand. They also often have new features that are nice extra touches. For example, you can play a preset noise when someone walks through a particular door. This is great for everything from preparing for burglary to knowing when someone is coming into the room so you can hide a surprise present! GP tracking and telecare now come with many forms of smart technology and safety. Not only does this provide you with a very useful way to check in on elderly members of the household, but it offers an easy way to know where they are – and if they need help. The other key element of a smart home system today is movement sensors. If someone who is vulnerable or needs care a movement sensor can alert their guardian to when the person is not moving the way that they should be in both volume, distance or attitude. Now, it’s common for the cost of a home security system to put people off. However, can you really put a price on 100% peace of mind that you can catch perpetrators before they damage your property or even hurt your family? Smart home security provides such a guarantee. For that reason, most see the investment into a smart security system as worthwhile. Starting at around £500, you can easily pick up and install wireless security systems throughout your home. This offers protection to doors and windows, and will make sure you always have a third pair of eyes watching over your home even when you are away. For those who value their property or their privacy, smart home security makes an obvious starting point. While the cost can rise due to the size of your home and the style of home security needed, it’s worth it. Generally, it’s one of the safest ways to protect your home from vandalism. All of this in mind, then, should make it much easier for you to decide on your needs. From budget to house size, various factors determine what you’ll need to pay. This is why we recommend that you contact our Colorado Springs Electrical Contractors team as soon as possible. We can arrange a rapid solution to help make your home feel as safe as possible. If you fear that you lack the quality security needed to keep your home safe, take action. Going big on a smart home security system is the way to go.